• Experience a zipline blast on ‘THE BEAST’ – One of the world’s longest, highest and fastest Ziplines!! 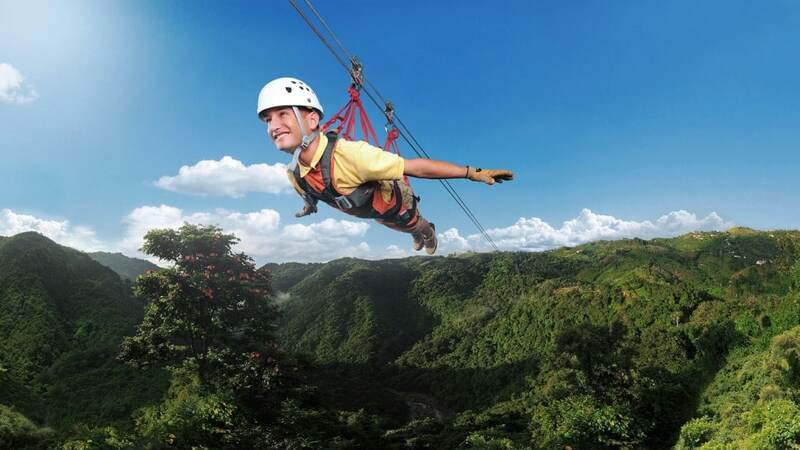 Fly over rainforest treetops, valleys and streams on secure, double-lined cables at altitudes higher than 850 feet! Depending on your weight and wind conditions, thrill seekers have hit up to 65 mph! …You don’t just hang in the harness, you lay face down, “Superman Style” ready to be launched! Momentum builds as you "Tame... The Beast." Lunch - A Delicious Sandwich, Snack (Chips) and your choice of Soft Drink or Bottled Water.